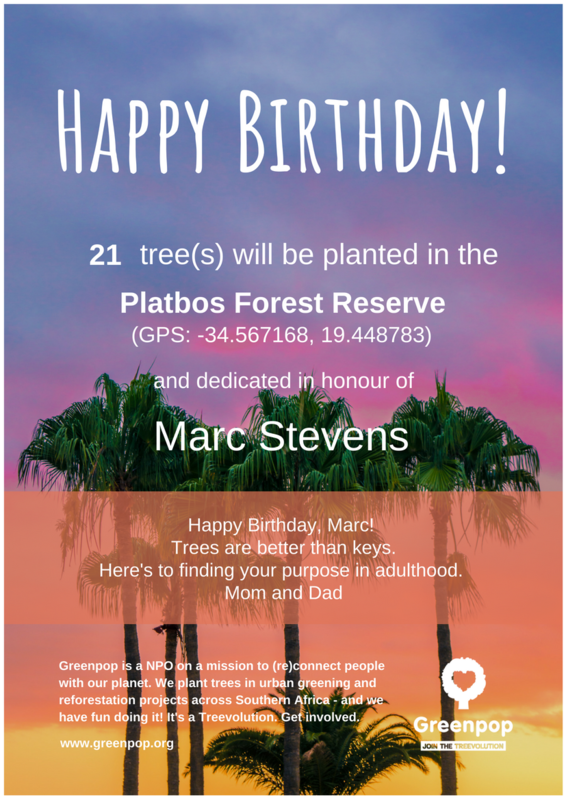 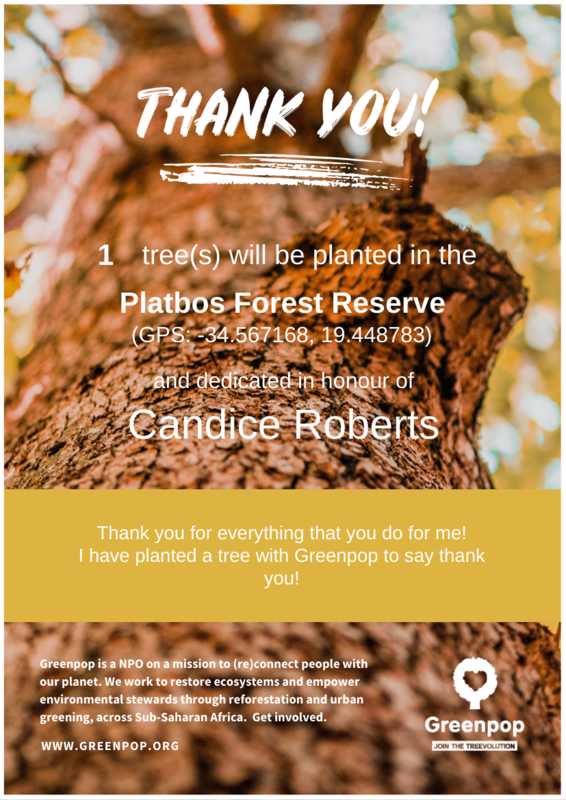 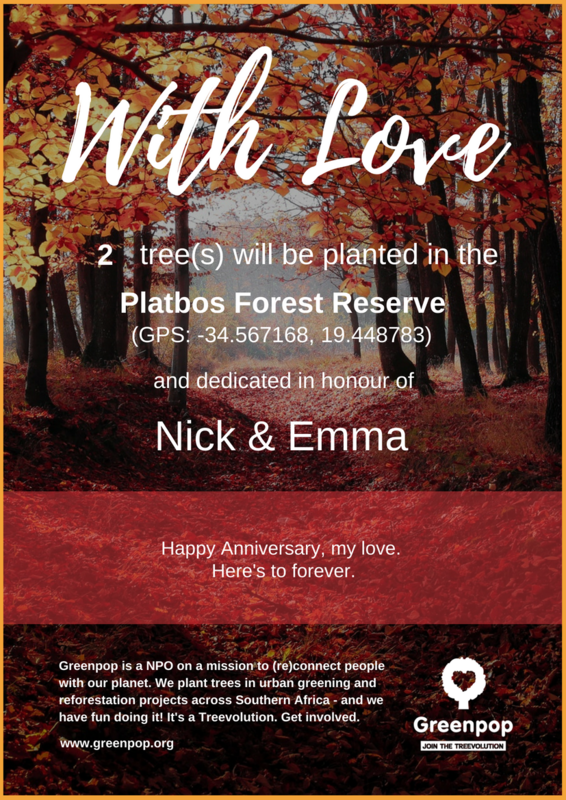 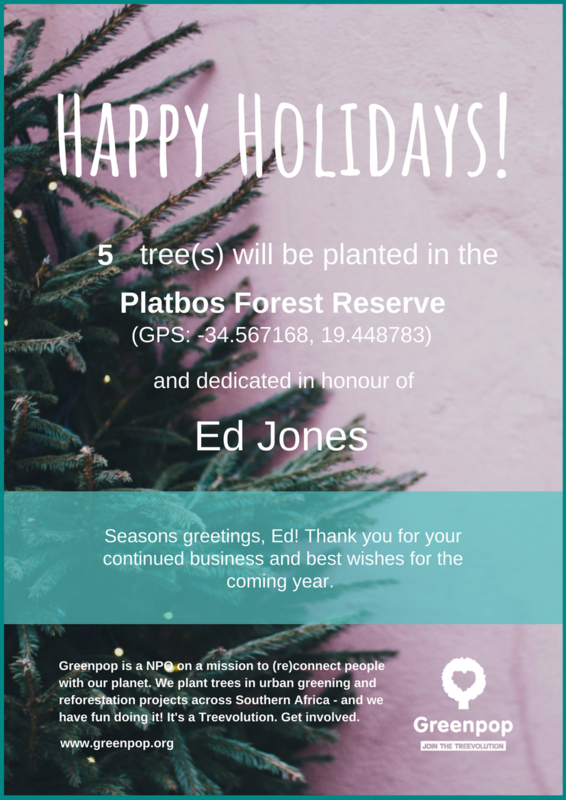 Sponsor trees to be planted in reforestation projects across Southern Africa and receive a personalised donation certificate. 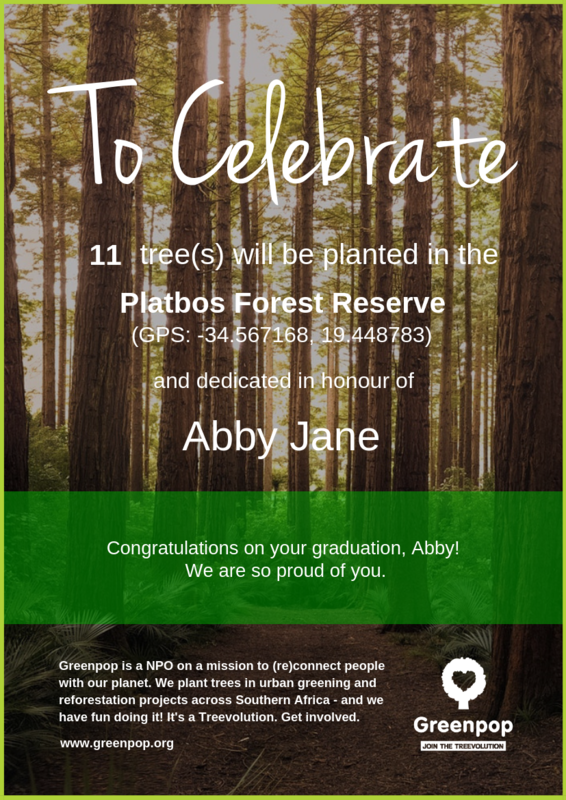 STEP 1 of 3: Select which certificate design you would prefer for your donation. 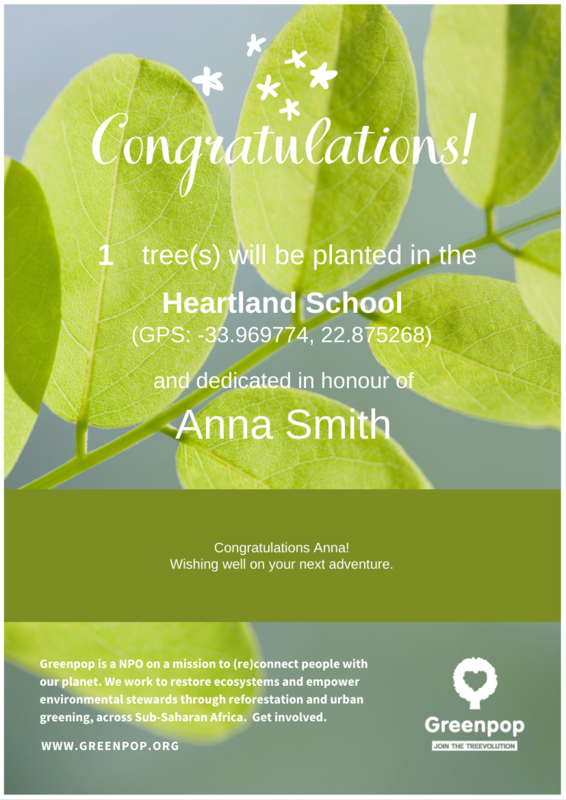 Greenpop Foundation NPC is a registered non-profit organisation. 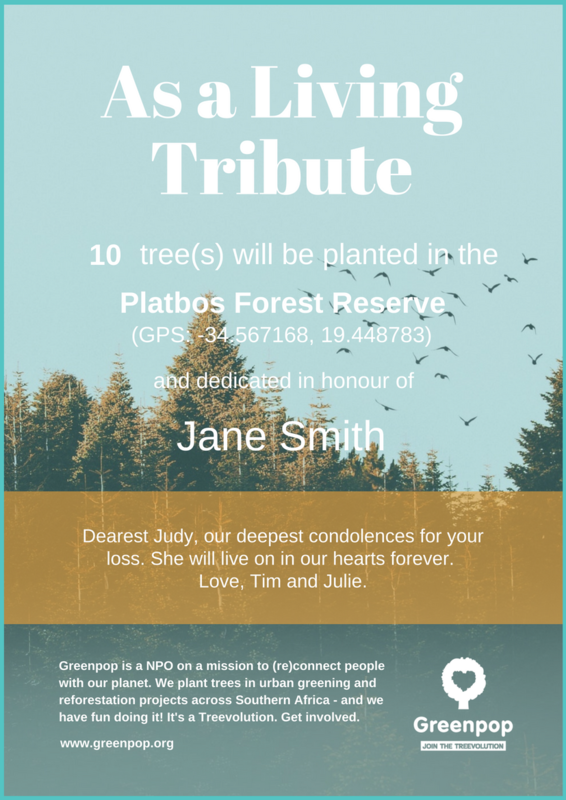 Reg No: 151-411 NPO.